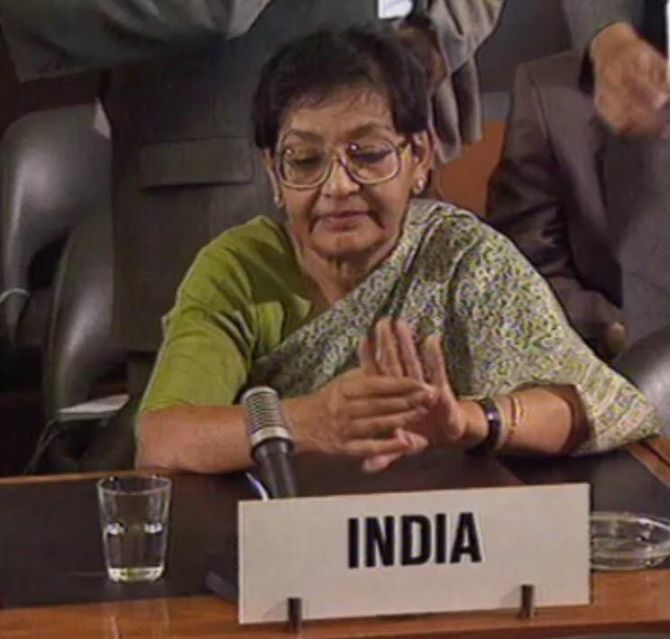 Eminent diplomat Arundhati Ghose, who was India’s ambassador to the United Nations and played a decisive role in India’s negotiations on Comprehensive Nuclear Test Ban Treaty, passed away late on Monday night at the age of 76. She was suffering from cancer and breathed her last at around 12:30 am at her residence in Palam Vihar in West Delhi, a family member said. During her illustrious career, Ghose had served in a number of positions including in Indian Missions in Austria, the Netherlands, Bangladesh, South Korea and Egypt. She was also the first Indian Permanent Representative to the United Nations Offices in Geneva. Ghose was head of Indian delegation to the conference on the CTBT in Geneva in 1996 and she is hailed for strongly outlining India’s position in opposing the treaty. Vice President Hamid Ansari, condoling the passing away of Ghose, said she will be remembered for her services to the nation, including for her role as head of the Indian delegation at the CTBT negotiations. Ghose was born on November 25, 1939 in a prominent Bengali family and grew up in Mumbai. She graduated from Lady Brabourne College in Kolkata and went on to study at Visva-Bharati University, in Shantiniketan, before joining the Indian Foreign Service in 1963. She is sister of Bhaskar Ghose, former chairman of Prasar Bharati and aunt of Sanjay Ghose, a social worker who was abducted and killed by United Liberation Front of Assam militants in Assam in 1997. Ghose had retired from diplomatic services in November 1997. She was a Member of the Union Public Service Commission from 1998 to 2004. Ghose was also a member of the UN Secretary General’s Advisory Board on Disarmament Matters from 1998 to 2001. She was also a member of Task Force on non-proliferation and Disarmament set up by the Ministry of External Affairs in 2007.